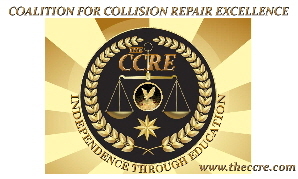 the CCRE is committed to excellence not only in the workplace but also in the collision repair community. It is our responsibility to provide leadership and give back to the industry as much as we possibly can. In recent years, the CCRE has led or participated in many successful events from trade shows, seminars, and educational activities. We are excited to list the following events the CCRE will be participating in over the upcoming months of 2017..
For more information regarding the time and place of these events, please check back from time to time. Should you have any questions or concerns, please Contact Us and we will try to get your questions answered. With the great success of the 2018 seminar and convention weekend in Atlanta, CCRE is planning on hosting future advanced seminars in the spring and fall of 2019. Stay tuned for further information to be posted on the web site and in our newsletters. Thanks to all who participated in this event.